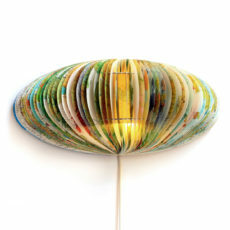 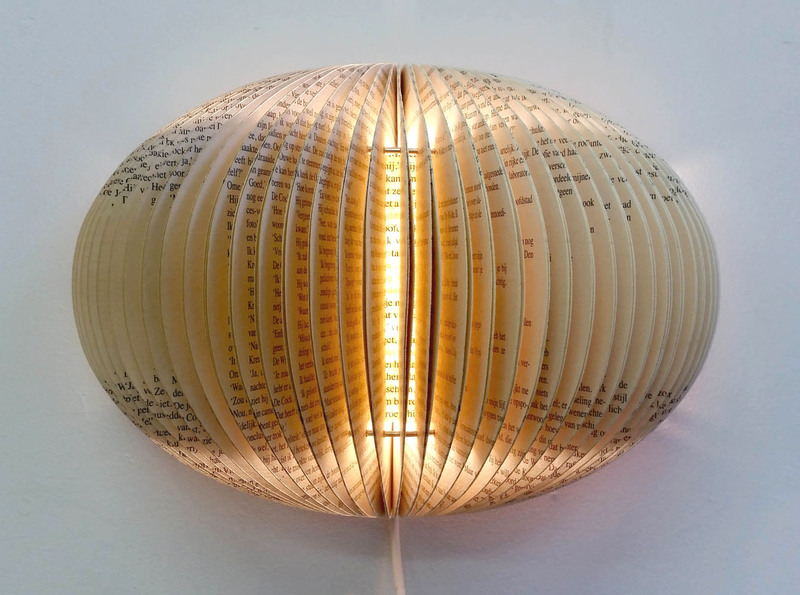 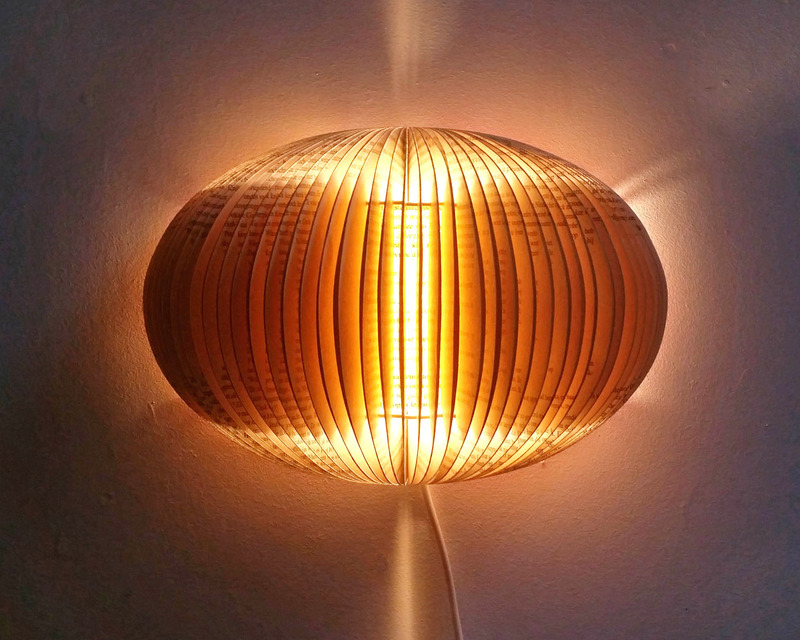 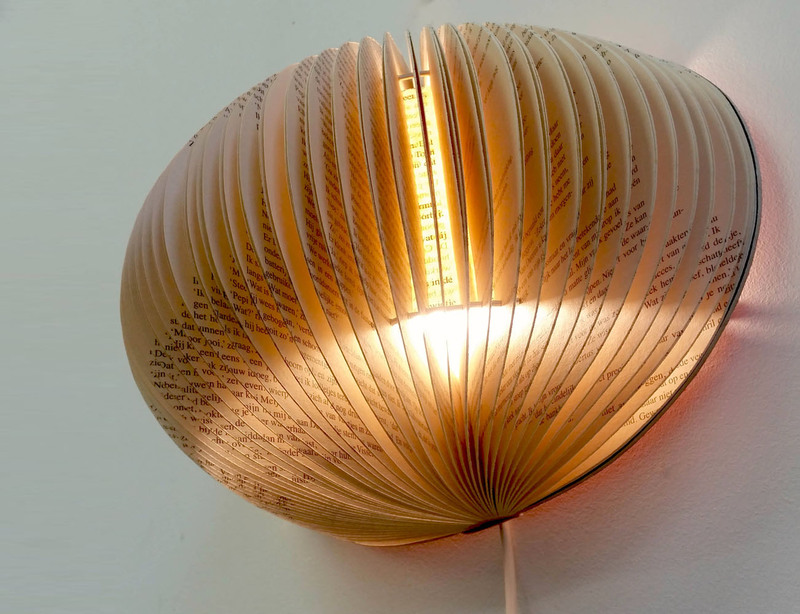 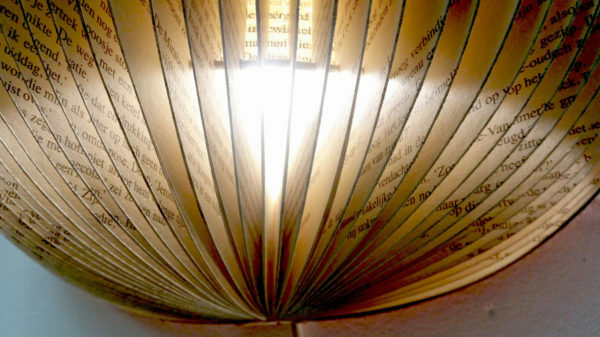 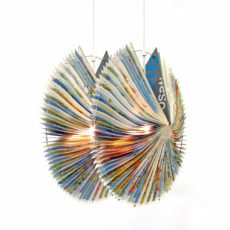 The Equinox wall booklamp is made from a recycled novel. It can be used as a wall lamp or as a table lamp.The lamp is designed to be used with an energy saving light bulb, therefore there is no risk of fire and it is far better for the environment. 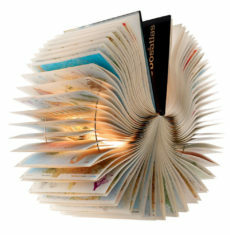 Dimensions this version: w 35 x h 24 x d 18,5 cm. 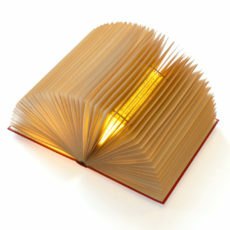 1200w" sizes="(max-width: 450px) 100vw, 450px" />We make a special box to transport the lamp safely to your location.